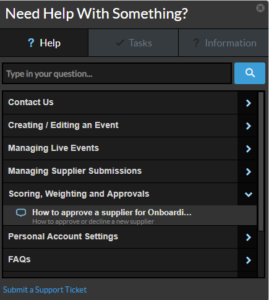 Our customer support just got even better with the introduction of our latest support platform, ‘Help Dojo’. Help Dojo is an interactive help portal which helps to guide users through our tools and any issues they might be facing. The feature is available 24/7 for all users, so if you have an issue that needs dealing with ASAP, we have eliminated any waiting time between question and answer. Not that our support team aren’t lighting quick already! Help Dojo is aimed to help anyone and everyone, whenever they need it! 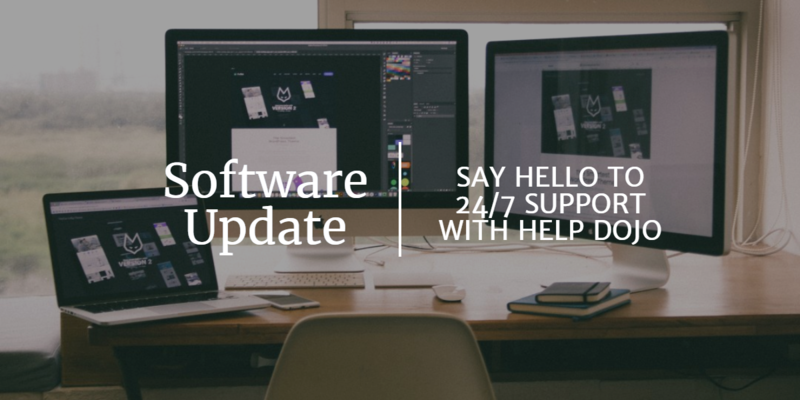 From uploading documents at 1am to creating new events at 1pm, Help Dojo is a permanent support fixture that is both interactive and easy to use. Help Dojo has been programmed to offer: Page Tours, Interactive Walkthroughs (a step by step guide on how to complete certain tasks), Downloadable Resources and much, much more. This means that a Page Tour is available to guide you through each step of the process and show you all available features that the page has to offer. You may even learn some features you didn’t know were there! Our ‘Interactive Walkthroughs’ will give you a step by step guide to completing certain tasks. To access these you will need to click on the Help Dojo icon at the bottom right-hand side of the screen and select an option under the support tab (see below). If you can’t find the resource you are looking for, or you are unsure which one best suits your needs, you can type in your question and Help Dojo will find relevant support resources to help you. Once you’ve selected the resource you would like to view, your Walkthrough will begin, displaying in a similar way to the image below. If you wish to cancel a Walkthrough at any time you can do so by clicking the small cross in the corner. Within the Help Dojo widget in the bottom right-hand corner of the screen, you will now find an Information tab. This tab contains a number of downloadable resources including guides, business cases, infographics and best practice blog articles which offer advice as well as industry insights to running successful tenders. The team at Market Dojo will be working hard to constantly update and add to Help Dojo, keeping our tool as up to date as possible. If you have any suggestions or ideas on how we can improve, or add to the tool please feel free to get in contact. You can let us know via the ‘Chat to Market Dojo’ option under contact us or ‘Submit a Support Ticket’ option at the bottom of Help Dojo. We really hope you enjoy using Help Dojo, keep an eye out for more exciting features coming your way soon.